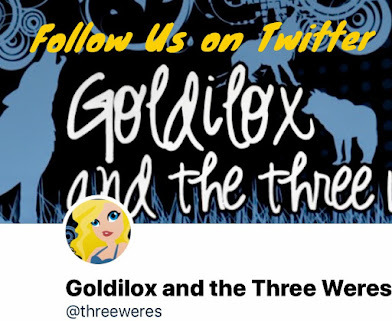 Goldilox and the Three Weres: Weres Wanna Know: How do you organize your TBR? 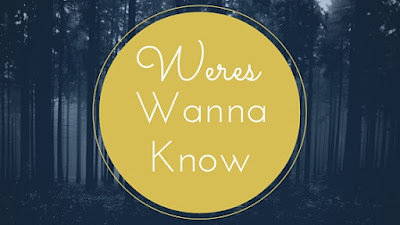 Weres Wanna Know: How do you organize your TBR? Even though we Weres like many of the same books, we are very different in some ways. 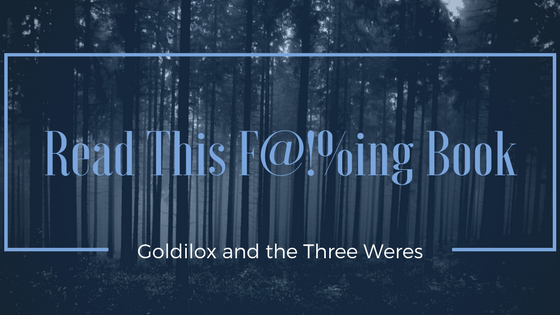 Here's a big one: how we organize our TBRs and track our reading goals. Rose Red uses spreadsheets, but I'm not a fan of them and I'm pretty sure the feeling is mutual. I've been writing down the books I read and the reviews on my to do list in my planner for at least the last five years. 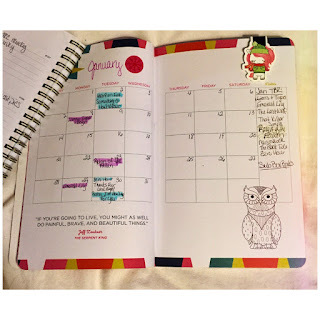 This year I'm trying out a reading journal in addition to my daily planner. In this post, we'll show you both of our methods and then we want to hear about yours. 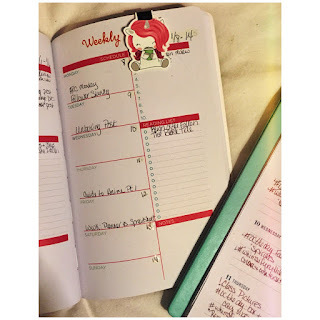 I've been using a planner to keep track of release dates, to do lists and what books I read for a few years now. I put release dates and review books on the monthly page. 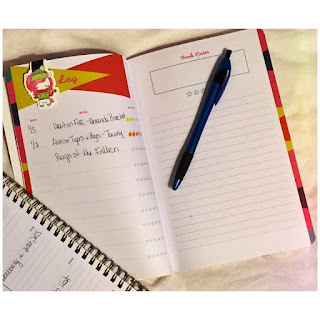 My new journal even has a column for a monthly TBR. For the first time this year I also made a list of my unread books in the notes section at the back of the planner. 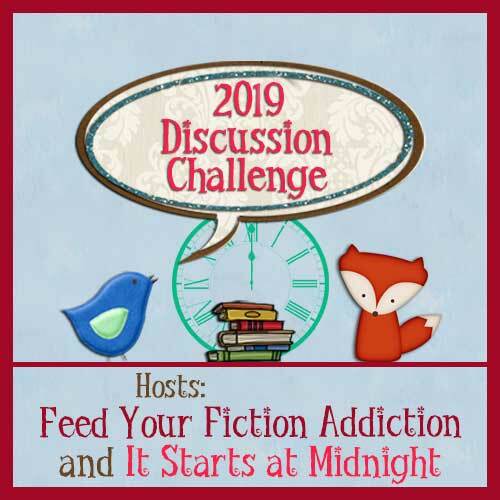 It was mostly to plan for the Beat the Backlist Challenge but I thought it was interesting to see how long the list was. I didn't do the math, but the ebooks took up five pages. Then I make a to do list each week and check off tasks as they're completed. 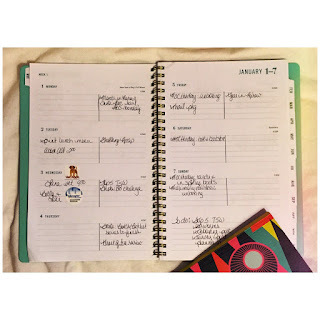 This year I added a line down the middle of the weekly page to separate blog tasks from things like doctor's appointments. In the past I've recorded books read on the day I finished them, but the reading journal has a separate page so I'm trying to get used to using that. I'm still trying to decide which planner to put blog tasks in. Are they regular to do's or reading related? Right now they're in both. The weekly pages repeat a lot of the same information so I still have some kinks to work out. Plus I also have a notebook for review notes and I feel like having three places to write in might be too much. And I keep my Currently Reading, Want to Read and Recently Read books updated on Goodreads. It doesn't have every book I own or every book I've ever read, but it has the ones I've read since I joined in 2012. Now that I write it all out, that's a lot of tracking to keep track of! I don't want to go into formulas and a lot of details because I could write a whole post on just one of my sheets. For the most part, I set up my spreadsheets for the next year over Christmas break and just enter data as I read during the year. So I think it's not as time intensive over the year as Gretl's planner but my tracking is spread out in more places though. Most of my spreadsheets are kind of similar to each other and track a lot of the same things like Title, Author, POV, Author Gender, Series, etc. I've done this on purpose so I can copy and paste things between spreadsheets more easily. 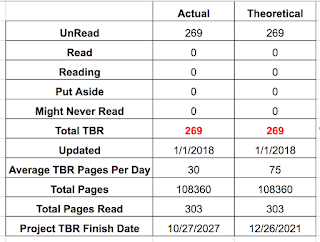 I do like to track special stats like my projected TBR finish date in my Physical TBR sheet. My favorite/most used spreadsheet has to be my Book Stats sheet. If you're looking for a great pre-made spreadsheet where you just plug values in, check out Crini's 2018 Book Spreadsheet. You can save a copy to your Google Drive and have it for your own. And she has even a manual for those who need one. You can track your audiobook listening, longest/shortest books, what you buy, library reads, how many books by each author, and so much more! This year I'm actually using Crini's sheet as my base sheet. I track a few more things than she does so I just added those sections in. Her sheet is truly impressive and a great place to start. I highly recommend checking it out if you want to try using a spreadsheet. The Stat Tracker in my TBR Spreadsheet. Look at those projected finish dates. 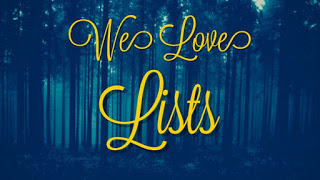 Like Gretl, I also track a lot things on Goodreads like my Currently Reading, Want to Read, Owned Books, Physical TBR books, and Beat the Backlist books. It's a bit redundant but I like when my spreadsheets match my Goodreads shelves. How do you organize your TBR and reading goals? We're participating in the 2018 Discussion Challenge. Check out all the January discussions!